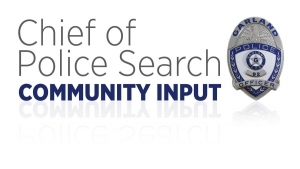 GARLAND (WBAP/KLIF News) – The City of Garland wants to hear what the community wants to see in their next police chief. They’ve invited residents to participate in an online survey and attend a series of public hearings between now and the end of the year. The city’s Saul Garza said community input is key. “The police chief is expected to work closely with the community and the different groups. We won’t folks input in who the next police chief will be here in Garland,” he said. Current Police Chief Mitch Bates accepted a new position as Garland’s Deputy City Manager and Chief Operating Officer. Here is the schedule of the upcoming public meetings. Garland Women’s Activities Building at 713 Austin St. from 7 – 8:30 p.m.
Garland Women’s Activities Building at 713 Austin St. from 7:30 – 9 p.m. There will be two more meetings in early December. You can get updates about the meetings here.